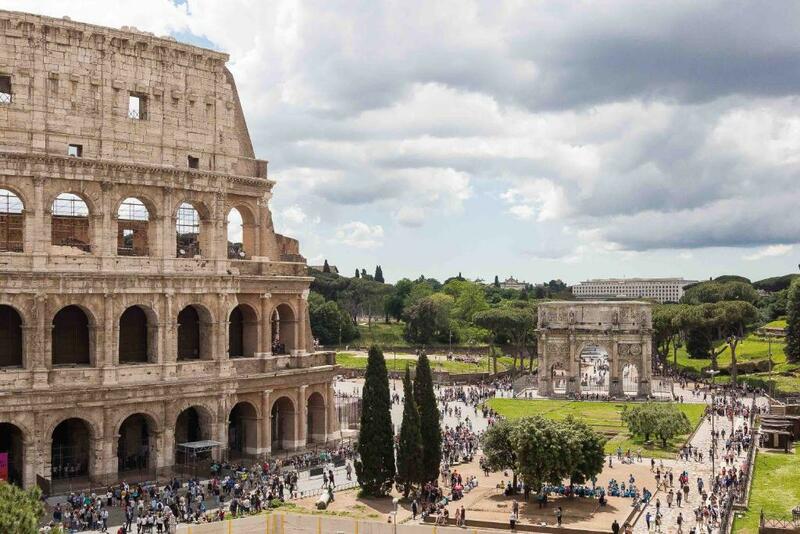 Lock in a great price for Amazing View Colosseo - rated 9.7 by recent guests. Situated 450 yards from Palatine Hill, 900 yards from Coliseum and 0.7 miles from Santa Maria Maggiore, Amazing View Colosseo features accommodation located in Rome. 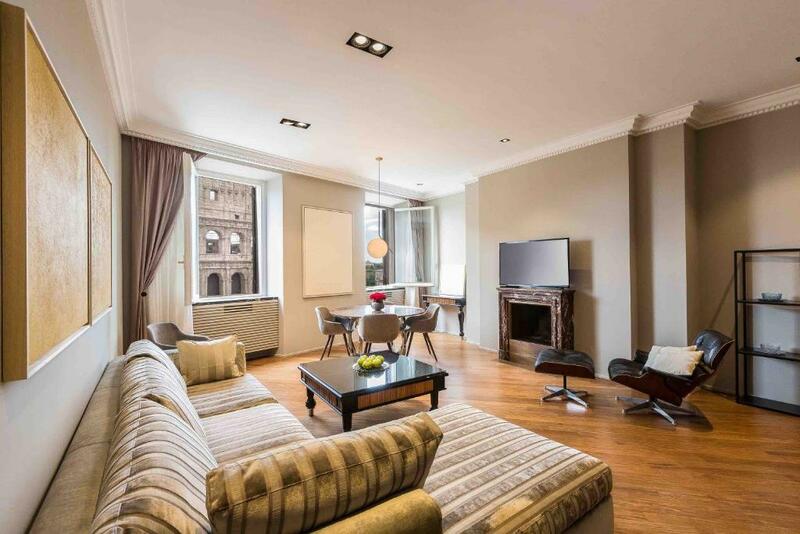 The property, housed in a building dating from 2018, has free WiFi and is 1.1 miles from Domus Aurea. 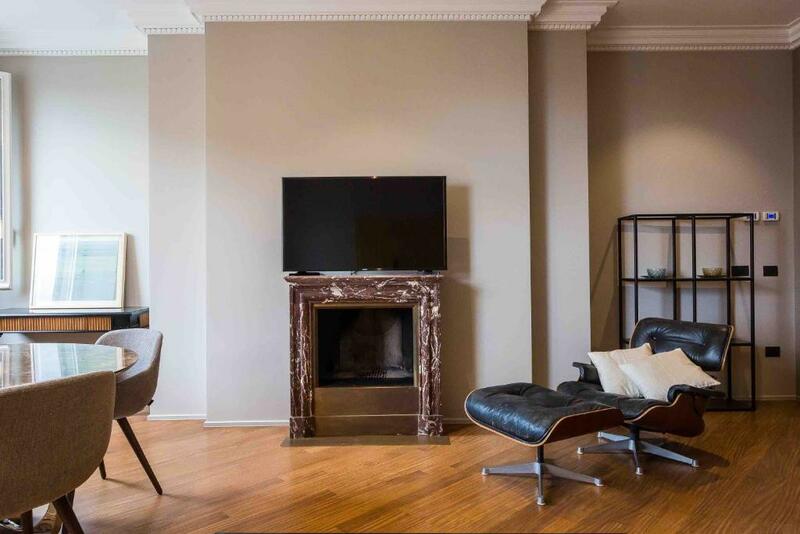 The air-conditioned apartment consists of 2 separate bedrooms, 1 bathroom with free toiletries and a hair dryer, and a seating area. The kitchen is equipped with a dishwasher and an oven, as well as coffee machine. Quirinale is 1.3 miles from Amazing View Colosseo, while Roman Forum is 1.4 miles away. The nearest airport is Rome Ciampino Airport, 9.3 miles from the property. Amazing View Colosseo has been welcoming Booking.com guests since 12 May 2018. 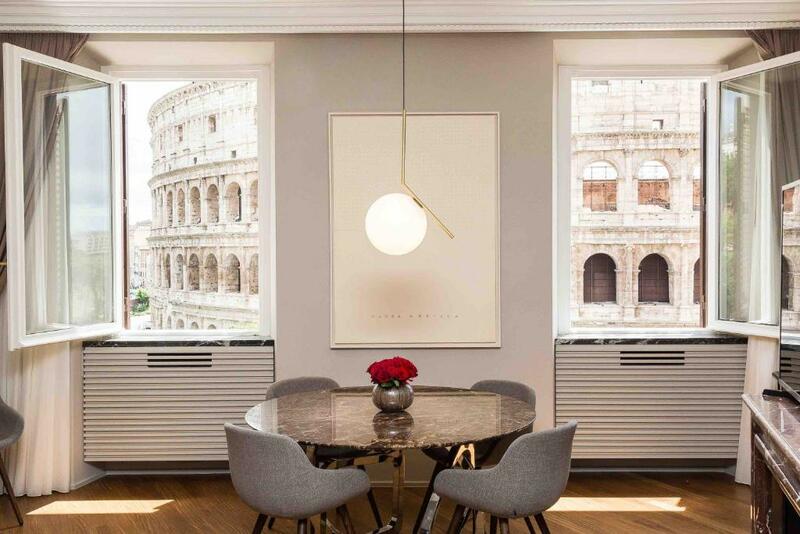 When would you like to stay at Amazing View Colosseo? 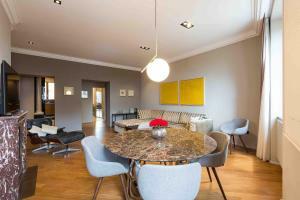 The property is designed by Italian architect with fine and modern design. It is located just in front of the Colosseum and you will enjoy this breathtaking view. Our experience in tourism, to satisfy all needs of our clients, we are always guest oriented and our standard and rules are professional and well organized. We always work in progress for you!! 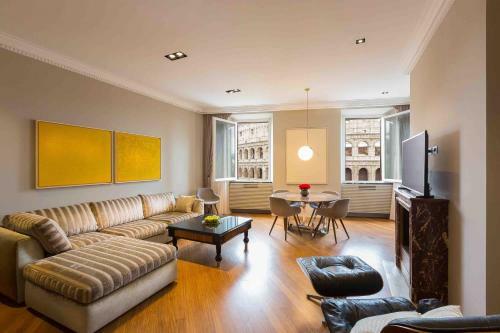 The property is located in historical area of the city, facing the Colosseo. In a minute, you will be on the Imperial Forum street and also it is very close to the main attractions and sights. The area is safe and pretty quite. House rules Amazing View Colosseo takes special requests - add in the next step! Amazing View Colosseo accepts these cards and reserves the right to temporarily hold an amount prior to arrival. Please inform Amazing View Colosseo in advance of your expected arrival time. You can use the Special Requests box when booking, or contact the property directly with the contact details provided in your confirmation. The shower is quite snug but everything else is wonderful! The views, location and apartment are all amazing!! The hosts are so friendly and accommodating! We feel so lucky to have been able to stay here! Everything was perfect - but if youre arriving via metro just make sure you exit out of the upper exit otherwise you'll end up walking up a huge hill! Perfect view, perfect apartment! Fantastic facilities and brilliant location. Annalisa was there to greet me on arrival and made me feel so welcome, they were incredibly thoughtful. Amazing View Colosseo certainly lives up to its name! We most definitely enjoyed our stay! Beautiful modern apartment that feels like a luxury hotel from the bedrooms to the bathrooms. This apartment is amazing, very spacious and has a stylishly modern set up. 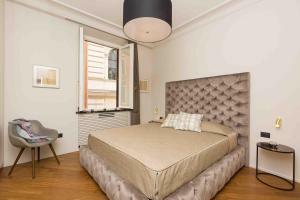 It is a perfect base to explore the wonderful city that is Rome. It is a quiet area and you are right in front of the Colosseum and Imperial Forum! It is AMAZING! Also, all the main attractions like Piazza di Spagna, Fontana di Trevi, Piazza Venezia are within walking distance. The apartment and view is so beautiful that even if you don't go out, you are 'on location' in this apartment. We took all kinds photos looking out the window and the photos look stunning and doesn’t even look real but you know it is. The view is quite photogenic. This is an apartment with a view you must experience once in a lifetime. Our host were all very accommodating and communication was always quick to answer any questions. 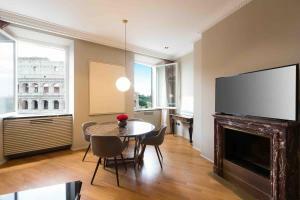 I was first greeted by Annalisa in an email who explained the details of the location and area as well as the apartment. I contacted the apartment another time to ask to book for a private driver and was greeted by Suzan who was very nice and quickly booked a private driver bring us to the apartment and to take us to the airport when we left. When we reached the apartment, we were greeted by Nicoletta who was extremely nice and presented us with cookies and a bunt cake. She gave us more details of the area along with a map that showed you where you may walk from the apartment to the other attractions nearby. I would like to complement how accommodating Nicoletta was. She explained everything about the area thoroughly and showed us how to use the European washer/dryer. If you are American, make sure when the host explains how to use the washer/dryer to take good notes as it is not as user-friendly as USA washer & dryers. They even supplied laundry detergent. 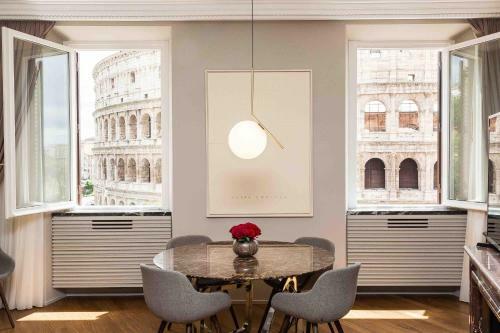 This apartment is worthy to be booked for many reasons: its amazing view (you can look from the windows and see the Colosseum! ), its tidiness, its hosts, its location! Not only the Colosseum, but also many other important sites are easily reachable by walking. And if you don't want to walk, you can find both a metro station and many buses stops just next to the apartment. We had a great stay! If we come back to Rome, we will surely stay here again!